Violetta Skirt https://www.review-australia.com/asia/violetta-skirt-red/RE19SK021.RENVY026.html You'll be a violet vision in this new wardrobe favourite. The Violetta Skirt is simple yet ultra feminine with its chic multi-tone floral print and frill detailing. A statement piece for the office or events, the bonded smooth fabric skirt has a wide waistband and fastens with a back zipper. The skirt is fully lined and offers a classic pencil silhouette. You'll be a violet vision in this new wardrobe favourite. 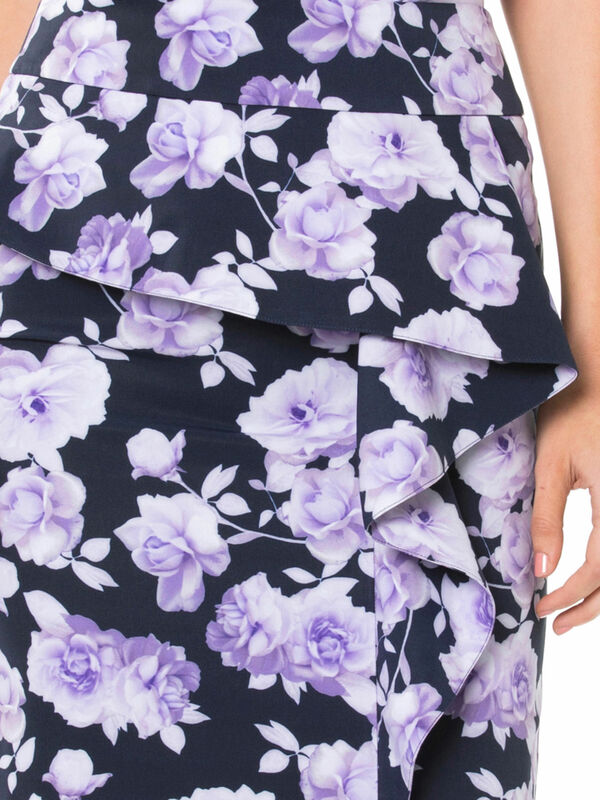 The Violetta Skirt is simple yet ultra feminine with its chic multi-tone floral print and frill detailing. A statement piece for the office or events, the bonded smooth fabric skirt has a wide waistband and fastens with a back zipper. The skirt is fully lined and offers a classic pencil silhouette.